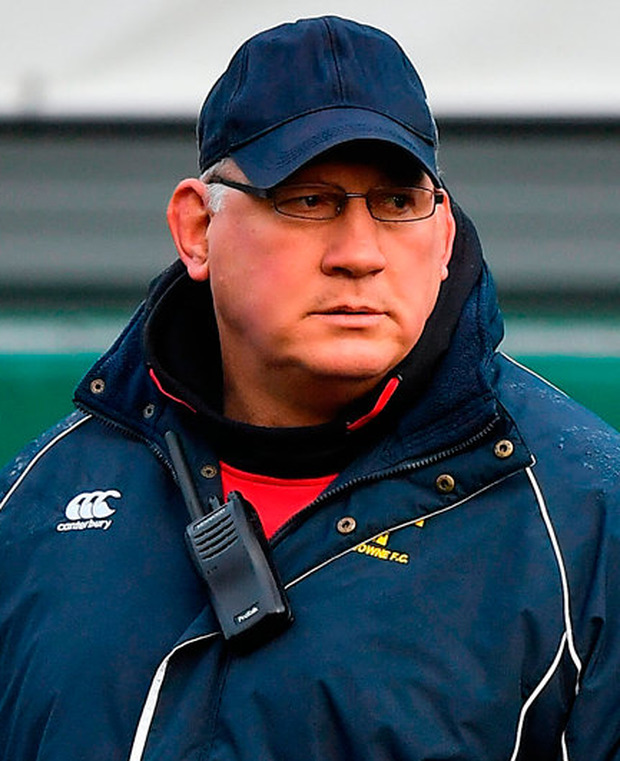 Now in his seventh season in charge of Lansdowne, Mike Ruddock is perfectly placed to judge the level of talent currently in the All-Ireland League (AIL). Ruddock's side have been, by some distance, the best team in the country this season, but they have been in this position in the past, before going on to lose when it matters most. On Sunday, they will aim to complete the double over Cork Con, as the defending champions face a huge task to prevent their league title remaining in Dublin. Ruddock has played a key role in the development of several players who have gone on to earn professional contracts elsewhere and he feels that this year's crop will be no different. "I haven't been involved with a pro team for a number of years, but I see guys like Tom Farrell, who was with us a couple of years ago, Tom Daly, who were regular with us, a couple of years ago, doing so well in the pro game," the former Ireland U-20s coach said. "Craig Ronaldson, who helped us win leagues in my stint at the club. Matt Healy, he's a great sort of sales pitch for us. "If players ask us about the club, we can say, 'Well, this guy was in the pro ranks. He became the best player in his position in the league, gets a pro contract and ends up playing for Ireland. That's what you can do.' If you become the best player in your position in this league, and that's what I say to players. If you can be the best player in your position in the league, somebody is going to come looking at you. I think we've seen that with a number of players really." Lansdowne have impressed throughout this season and have already beaten Con in the Bateman Cup final last month, which will add to what is a cracking rivalry. Adam Leavy, younger brother of Leinster and Ireland star Dan, is amongst the young players impressing Ruddock, whose reputation has been built on blooding youth. "Let's put them on the big stage, and see if they deliver," he maintained. "There are guys that are capable, I think, in principle. Definitely. I've got to tell you this, right. I talk to a lot of people and they're a little bit dismissive, possibly, of this standard, but I see guys that are in the gym at seven, eight o'clock in the morning before they go to work. "Lifting weights, following programmes. I see guys coming in the gym straight after work, training. Guys eating the right things. "We've got a nutritionist who works with the club. We've got a conditioner at the club. We've got a video performance analyst at the club. "We're constantly updating stuff. Giving guys personal stuff on WhatsApp, for example, how to improve their game. "I admire these guys. In the pro set-up, it's fantastic and they get all the supports that you would expect with professional rugby. "But in fairness to the club, we provide quite a lot of support to the guys. They put a lot of work in as well. It really is impressive." The 58-year-old hasn't coached a professional team since he left Worcester in 2010, and while he was recently linked with a return home to become Cardiff Blues' boss, Ruddock is very much happy where he is, for now at least. "I haven't actively looked for that," he added. "I haven't got an agent or anyone sort of promoting my cause. I haven't really ever had one of those. I've never overly been worried that way, to promote myself that way. "If anyone ever wanted to talk to me, they're very welcome to talk to me, but I'm pretty settled now. "I'm probably going through the back door now, rather than coming back in the front door. You'd never say never, but it's highly unlikely."